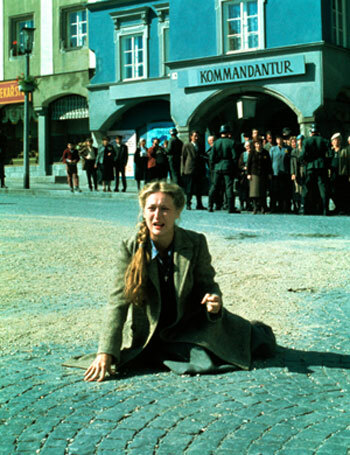 Craig McKay is the Oscar-nominated editor of REDS (1981) and THE SILENCE OF THE LAMBS (1991), and the Emmy and ACE-winning editor of the TV mini-series HOLOCAUST (1978). As one of the most respected, talented and in-demand editors in Hollywood he worked with the likes of William Friedkin, Jerry Schatzberg, Warren Beatty, John McNaughton, James Mangold, George Armitage, and on multiple occasions, Jonathan Demme. 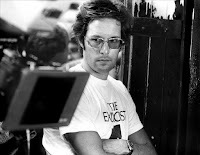 In the first of a two-part interview, I spoke to Craig about his early years, the acclaimed HOLOCAUST, and working with Jerry Schatzberg on PUZZLE OF A DOWNFALL CHILD (1970) and SCARECROW (1973), with William Friedkin on THE EXORCIST (1973), and with Warren Beatty on REDS. What were some of the most memorable moviegoing experiences for you growing up? I grew up in the 50s, and my first cinema experience was a movie called THE SECRET GARDEN (1949). I was five years old and my grandmother took me to see it. I was really taken by the story and overwhelmed by the size of the screen, and also the color. Somehow I think from that point on I always knew what I wanted to do, which was to work in film. 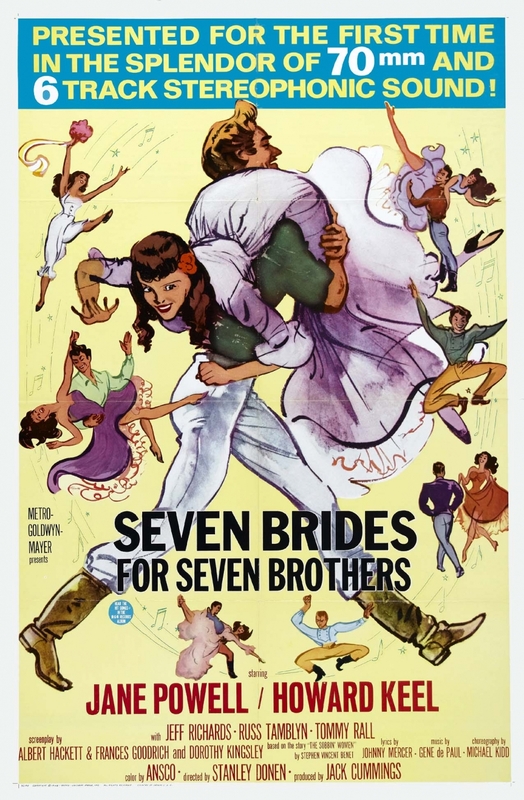 I loved MGM musicals like SEVEN BRIDES FOR SEVEN BROTHERS (1954), and I remember seeing THE ROBE (1953), the first Cinemascope picture. I was primarily exposed to pure Hollywood. I saw very little outside of that until I got to my teens. There was a TV show on PBS called The Art of Film, presented by Stanley Kauffmann. He used to show clips from European films, which influenced me strongly. That show got me into Bunuel, De Sica, Rene Clement, and a lot of other European filmmakers. By this time I was also heavily involved in making movies at home. I had a little 16mm Bolex that my family had bought me and I was using the neighborhood kids. It started very early for me. What do you remember about the short films that you made? I did a science fiction picture using the neighborhood kids. I used a lampshade as the UFO. I also did a drug drama. I used to do mood pieces too, and practice lighting. I would go to the local, honked-out theater and watch the lighting and then try and recreate it when I got home. When did you start to realise how important editing was to a film? I think I realised it when I started putting together my first short films. Actually my primary interest was in cinematography. Editing was just something that I had to do. I never realised its importance at that point. When did you start thinking about becoming an editor? I guess it was in my late teens when I realised the importance of editing and the similarities it had to writing. It meant a lot to me to be able to build something emotionally. It was at this point that I got serious about story and I became serious about editing. In those days, you really had to know somebody. A friend of the family introduced me to a guy called Mort Fallick, who ran a commercial film editorial company in New York named Cinemetric. I showed him some of my short films, and at the end of the afternoon I spent with him, he asked me to come work with him. It took me about a tenth of a second to say yes. A week later I was in New York, carrying cans to the laboratories. I started out as a foot soldier. 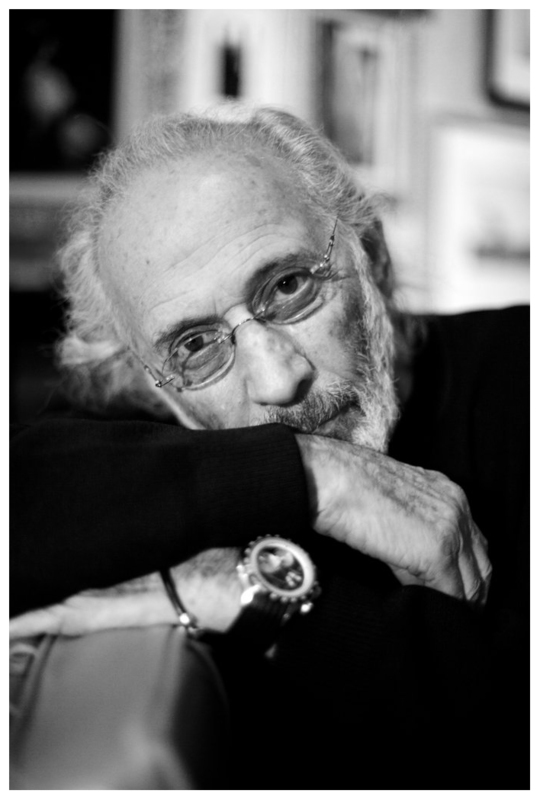 Two of your earliest films were with Jerry Schatzberg. How was working with him? He was a lovely man. I was the assistant editor on PUZZLE OF A DOWNFALL CHILD, and when it came to SCARECROW, he knew me well, and I told him I wanted to do some cutting. He allowed me to cut two big scenes in the movie,which were the striptease scene in the local bar and Pacino's freak out in the water fountain. When I was cutting the striptease scene I had to compress the actual strip because it took Hackman so long to get all the layers of clothes off. It was the first scene that I had ever cut for a feature film. I was excited because this was a great exercise in basic editorial compression. I put all my energy into making the strip happen quickly. After much work, I did it, and Jerry said ''That's great, but where's the shot of Pacino holding the present he's taking to his kid?'' Ooops. I was so busy making the compressed strip work that I had forgotten to include it. Jerry was very patient with me. I immediately recut the scene, and I never made that mistake again! I wish Jerry got to make more movies. He had a very strong visual sense that I was akin to because I love cinematography so much. What are your strongest memories of working on THE EXORCIST as an assistant editor? I was working with Evan Lottman. There were three editors but he ended up cutting about nine reels of the movie. We were dealing with a larger portion. Warners put us in these offices on 666 5th Avenue, which I thought was totally appropriate! It was an amazing film to work on. We did the original cut very quickly in New York City, and then we took about eleven minutes out. And that was the movie that was released. It was very clear what the movie wanted to be and needed to be. We moved to Burbank to do the sound and the music and everything, and that was my first trip to Los Angeles on a feature film, which was very exciting. I remember driving through the gate at Warner Brothers and thinking ''Holy mackerel. This is where they really make movies. '' Huge sound stages, people walking past in costumes. It was a classic movie scene, it really was. One of the most interesting things we did was to create the demon voice. A lot of things we did in secret, and that was one of them. We heard a recording of the original exorcism that inspired the story. It was from 1949 and involved a fourteen year old boy. We heard the demon speaking different languages and the feral sounds, which were quite extraordinary. We went about trying to recreate that voice and we did it by slowing down Mercedes McCambridge's voice by using a machine that could change the pitch but maintain sync. We then processed it through a Chinese symbol because it had this sizzling sound whenever she spoke. There was this sound of air being decompressed, and we put translucers on a timpani and fed each line through the timpani, pressing a pedal as the voice went through. All these things combined made the voice as you hear in the movie, which sounded exactly like the demon's voice on that tape. It was fantastic. Did editing the film after hearing the original exorcism give you a sense of authenticity when approaching your work? Yes, and the the way Billy shot the exorcism scene was absolutely extraordinary. There were only three people who got to hear that tape. Billy seemed to trust me. I was in on a lot of meetings. I think I got to see a lot of things that other assistant editors wouldn't have gotten to see at that point. 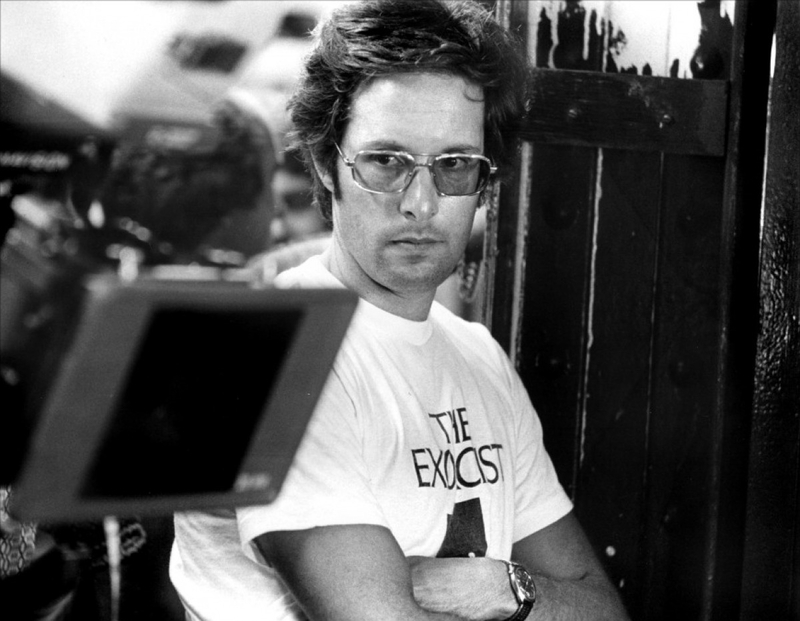 What was your first meeting with Friedkin like? When I first got to Warner Brothers and went over to the soundstage to see Billy, I opened the door and it was totally dark, with a worklight in the middle of the stage. There was a kitchen table and Billy was there with a rat with a piece of string attached to it. He was poking it with a pencil and recording the sound of its feet scratching the table, which was one of the earliest sounds in the movie. Some people have said he is difficult, and I am sure that's true. He's very direct, let me put it that way. And very forceful. I remember getting a set of dailies and sitting watching them. There was one take where he said 'Action!' and just as the actor was about to start, he shot off a gun, which startled everybody. I guesst that got the actors to the place he wanted them to get to, a kind of vulnerability. I got along very well with him. We had a really good relationship. It was very clear that he trusted me. Of all the filmmakers I have worked with, he was one of the directors who really knew what he was doing. He is razor-sharp smart. How much of a challenge was editing HOLOCAUST? 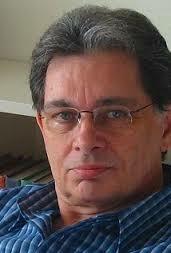 Steve Rotter and Robert Reitano were cutting it, and they needed an additional editor. I knew them because I had been an assistant on many features. They gave me the third episode to work on, and they were apologetic about it because they said it wasn't the best episode. At the time, I didn't know very much about the Holocaust. When I was growing up they didn't really teach us about it in school. I grew up in Hudson Valley and the local schools left a lot to be desired, with a few exceptions. When they called me about making something called HOLOCAUST, I thought it was going to be a disaster movie. They let me see a rough cut of the first two episodes and I was just taken over by how powerful it was. There was something about the subject matter that was so compelling to me, and it started to weigh on my shoulders. I could feel it every morning when I went in. I gave that show everything I could give it. I felt a tremendous responsibility working on it. In the end, the third episode, which they thought was the worst episisode, won all the awards. It won an Emmy for editing, and I also won an ACE award for it. It was a great experience and a compelling one. What kind of experience was working on REDS? We had the largest editorial crew in history. We had 64 people working under Dede Allen and myself. It took us a little under two years to edit the film. 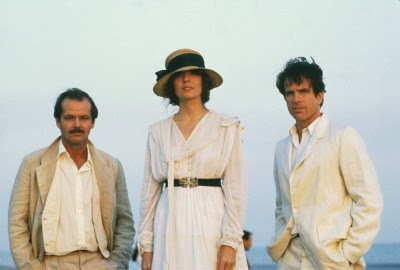 Warren Beatty was shooting a tremendous amount of film - 30, 000 feet a day. We ended up with 3 million feet of film, which was extraordinary because most movies used around 400, 000 feet of film. We fortunately had this system, which we bought from Stanley Kubrick. His editor, Ray Lovejoy, had created it. It was a film chain made out of a Moviola, with one camera on a picture head and the other on footage. It was shot to Beta and we each had Beta decks. We had librarians breaking down each line of dialogue into the footage. We could just go through and press each take. It helped us tremendously. How was working with Dede Allen? I had a wonderful relationship with Dede. 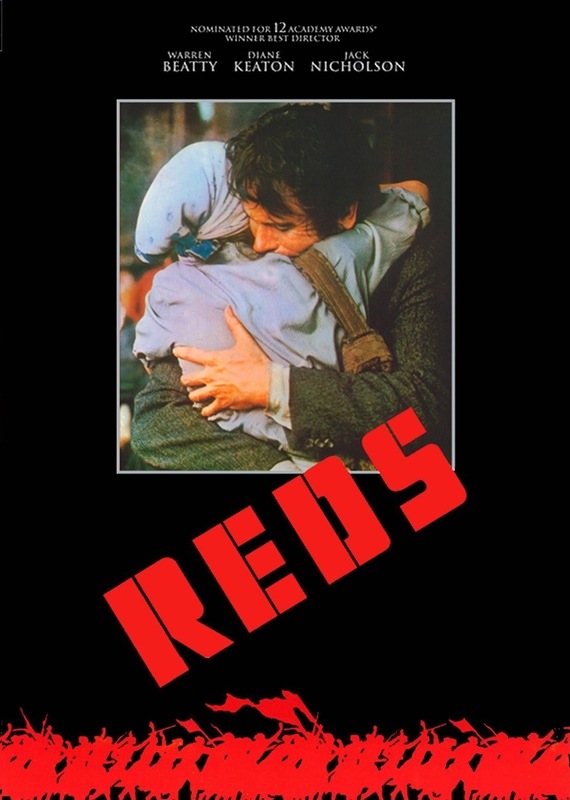 I had worked as an ADR editor on a couple of films she had done before REDS, and she had recommended me for the very first film I ever edited, which was a documentary I did for ABC's Close-Up series. I had been getting some recognition after HOLOCAUST and MELVIN AND HOWARD, and she called me up and told me she needed a partner. It took me no time to say yes, because I would be working with one of the greatest editors we have ever had. There was very little dialogue between us when we worked together. We seemed to understand what the scene was supposed to do, and what it needed, and where it worked in the narrative. The interesting thing is that my style is very smooth. People often call me Mr. Invisible Cut. Dede's style is a little more bold. What happened on REDS is that we started to share each other's styles. Do you feel that invisible editing is the best kind of editing? Yes, for me, because it is who I am. I find you have to find the emotional truth of the moment and you have to be in the best place at the right time to do that. You have to know how to move the narrative forward. All of this without the interference of the wrong shot or the wrong sound. I always try to keep ego out of it, so the audience can just sit back and take in what they're seeing. On every film I have worked on, the most important part is the beginning. I spend more time on bringing the audience into the story than anything else. Once you have the audience, you know you have them. For me, that's the most important aspect of editing a narrative film. We had a similar problem on REDS that we had later on THE SILENCE OF THE LAMBS. Every time we cut to the documentary footage, it would take you outside of the narrative. Kathryn Wenning and us had to find a way to use the documentary footage in a way that extended the narrative. We picked the pieces very carefully and we only accomplished it by trial and error. There was no being intellectual about it. If it followed the emotional line of the narrative, it worked. We had all these old folks that had been interviewed for the documentary footage in the film, and 80% of them died while we were editing. Warren had started shooting them before he had started shooting the actual production. Vittorio Storaro, who photographed the picture, had this little black tent that he travelled the country with and he interviewed all these people with Warren. Another problem as the length of the picture. The original cut was 3hrs 48 minutes. We got it down to 3 hours 20 minutes, and Dede and I wanted to lose another 20 minutes but Warren said no. As a result of that, we put in an intermission. What was Beatty like to work with? Warren is an extremely intelligent person. He knew the story he wanted to tell. There were some variations in performance and character that he had to decide on. They were still writing the script while we were editing. He was calling friends in to help him with the script. I remember in one meeting Dede and I sat in with Warren, Elaine May, Mike Nichols, Stephen Sondheim, and Robert Towne. They were all trying to hash out a couple of scenes that dealt with the end of the movie. But he always knew what he wanted. He was never in doubt.